Lipitor, one of the worlds most popular cholesterol drugs, has been found to endanger patients. Patients who have been prescribed the drug have experienced dangerous side effects, such as heart attacks and strokes. Patients who are already struggling with cholesterol issues are a particularly vulnerable group. The fact that Pfizer Corporation, the manufacturer of Lipitor, failed to protect patients from this dangerous drug is unacceptable. Currently, Goldberg Weisman Cairo dangerous drug lawyers are working to determine whether patients injured by Lipitor may be entitled to financial compensation. To discuss whether you and your family should file a claim, contact our law firm today. In practice for more than 40 years, Goldberg Weisman Cairo is Illinois’ largest personal injury law firm. Some of the states most vulnerable citizens have turned to the firm in their time of need for excellent legal assistance. Our commitment to client service is only surpassed by our commitment to justice. $2 billion in settlements and judgments later, we have built a powerhouse team of aggressive trial lawyers who are always prepared to take on the worlds largest companies. Patients who have been injured by Lipitor report substantial pain and suffering as the very drug that was supposed to help and heal them instead causes serious and, at times, permanent harm. 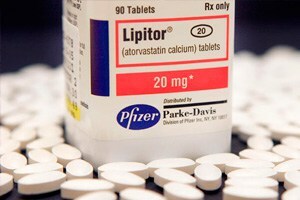 Statins are a class of popular cholesterol groups, and Lipitor is the most widely prescribed statin drug on the market. Statins are prescribed to patients who suffer from elevated levels of cholesterol. Unfortunately, instead of helping patients live more healthy lives, the drug has caused dangerous illnesses. Lipitor prescriptions and use pose serious medical and health risks to patients. The drug has been associated with mild, moderate and severe side effects, ranging from simple headaches to Type II diabetes. Statins such as Lipitor increase the risk of Type Ii diabetes. Type II diabetes is a condition which affects a patients body to produce or properly use insulin. Insulin is a natural hormone, which helps humans maintain their weight and convert food into glucose, which is then used for energy. Compelling medical studies have demonstrated the link between the use of Lipitor and the increased risk of developing Type II diabetes. Indeed, they were so persuasive that the U.S. Food and Drug Administration (FDA) instructed Pfizer to warn patients and medical professionals about the diabetes link in updated warning labels. Lipitor is said to contribute to the development of Type II diabetes by raising the blood glucose levels of patients. As blood sugar levels rise, patients take on a greater risk for hypertension and/or stroke. Patients who display any of the listed symptoms should immediately consult a medical provider to determine whether additional tests need to be run. Women who have already gone through menopause or who already overweight may be especially susceptible to the development of diabetes. Despite the serious complications and health risks associated with Lipitor, patients should not stop taking Lipitor without first consulting a doctor. More than 1,600 Lipitor lawsuits have been consolidated into multidistrict litigation proceedings with the first trials set for October 2015. There are a number of legal issues involved in the Pfizer Lipitor lawsuits. There are personal injury claims, product liability claims and wrongful death claims from patients who have been injured by the popular cholesterol-lowering drug. Additionally, some plaintiffs attorneys have argued that the company engaged in fraud, misrepresentation and breached its duties to protect consumers.